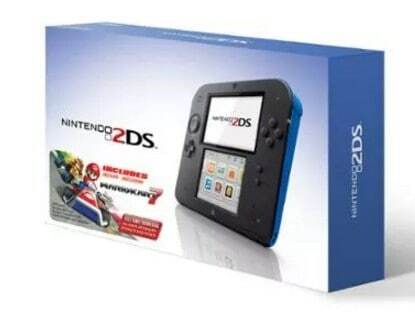 The Nintendo 2DS with Mario Kart 7 Game is on sale for $79.96 at Walmart.com right now. That's $50 off the regular price of $129.96! Nintendo 2DS is a 2D system that plays all Nintendo DS and Nintendo 3DS games.